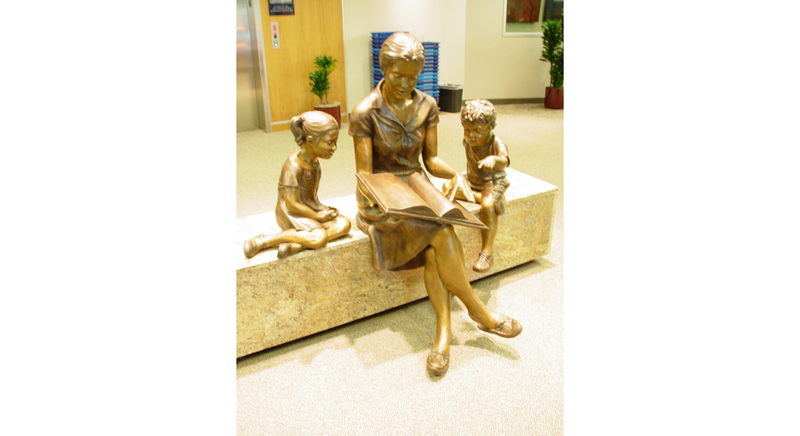 Commissioned for the Freeman Public Library in Clear Lake, Tx, Storytime depicts a mother spending quality time reading to her children. 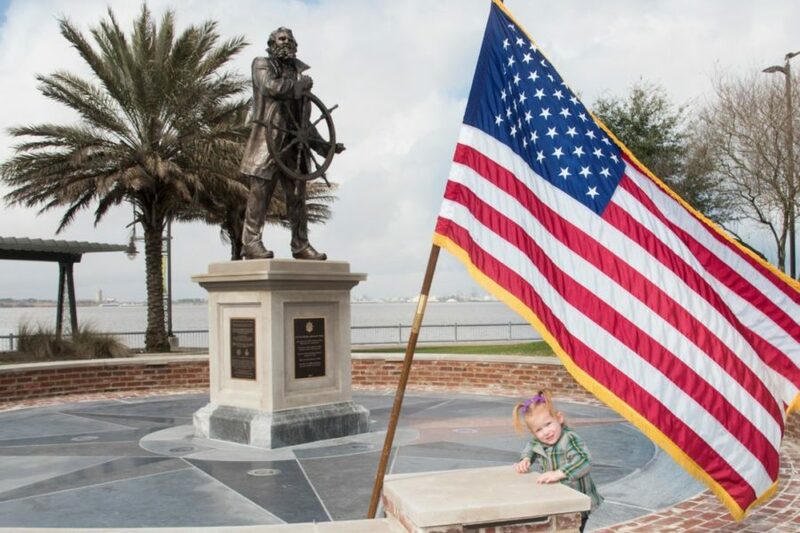 Captain Daniel J. Goos, beloved forefather of Lake Charles, now stands over the Lakefront Promenade on Memorial Point in Lake Charles. Overlooking his home town of Lake Charles, Louisiana, the life sized memorial to Congressional Medal of Honor recipient 1st Lt. Douglas Fournet is the latest installment from the LaCroix Art Studio. 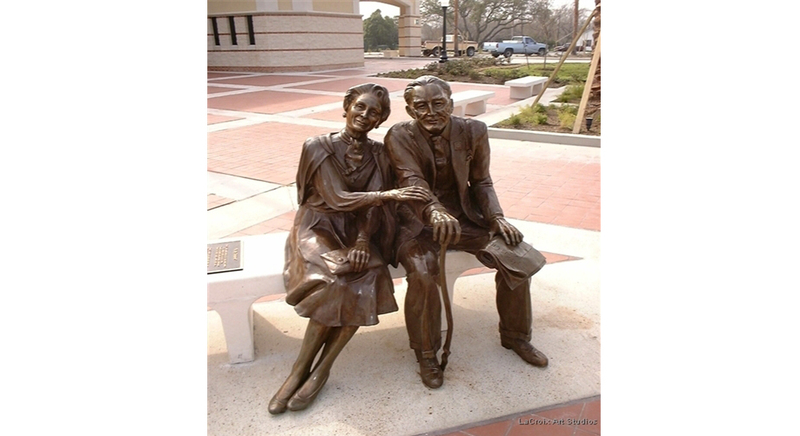 The Grandparents, part of a multi-piece installment for the city of Texas City entitled The Circle of Life, currently on display at the Texas City Civic Center Plaza near the Phoenix Fountain. 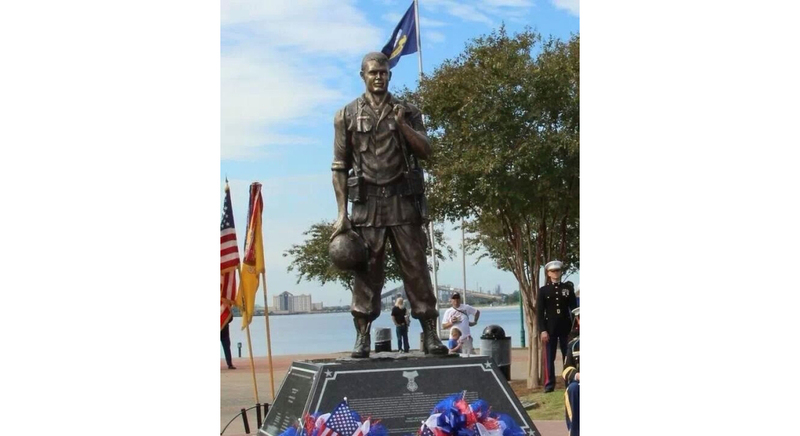 Larger than life, standing over seven feet tall, this Unites States Marine proudly honors the fallen men and women who have given their lives for our freedom. 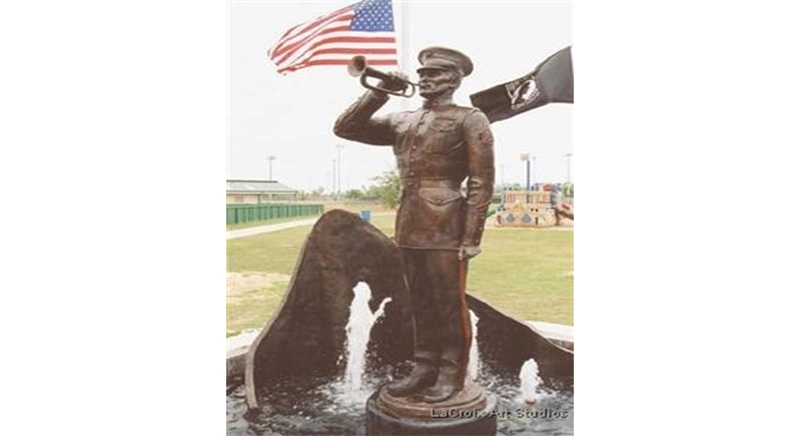 This Veterans Memorial stands at the entrance to the SportsPlex in League City, Texas. Towering at over twenty-five feet tall, the Millennium Christ Stands with arms outstretched in a historic cemetery on the shores Lake Charles, Louisiana. 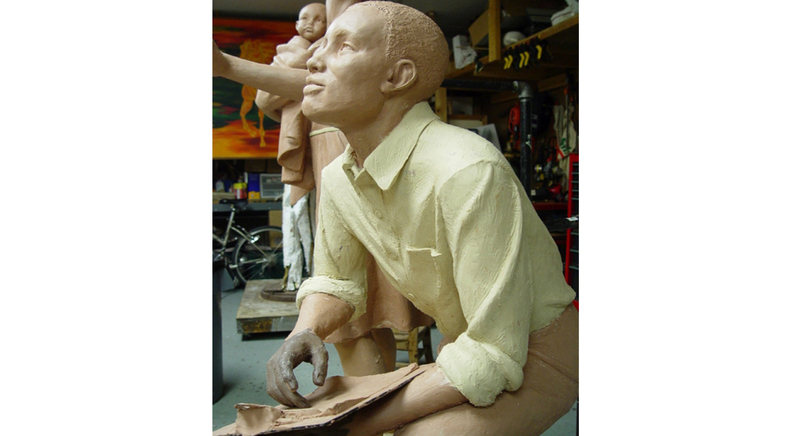 One of seven individuals depicted in Together We Can, a life sized installation honoring the founding members of the Our Lady Queen of Heaven Parish in Lake Charles, Louisiana. 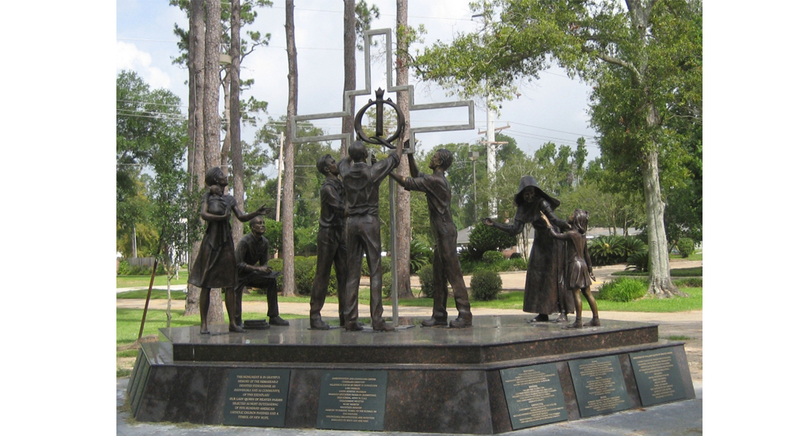 Located in Lake Charles, Louisiana, Together We Can honors the founding members of the Our Lady Queen of Heaven Parish. Vince Gill performs an original song to honor the memory of his good friend and golf partner, Payne Stewart. 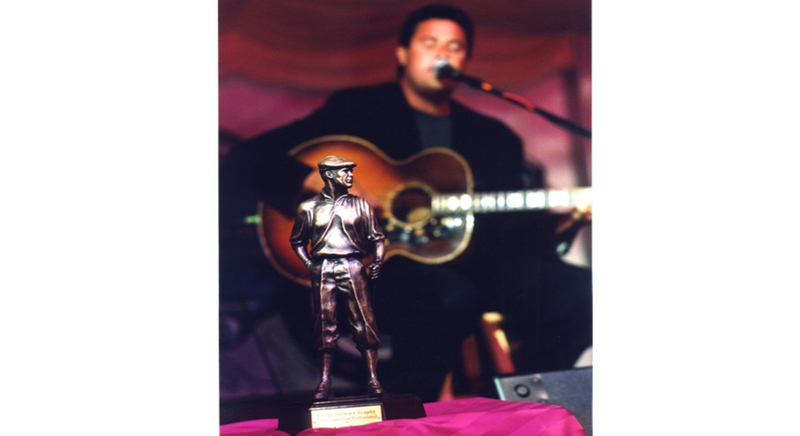 The Payne Stewart memorial trophy is a coveted award each year at The Vinny Celebrity Charity Golf tournament held at Nashville, TN. 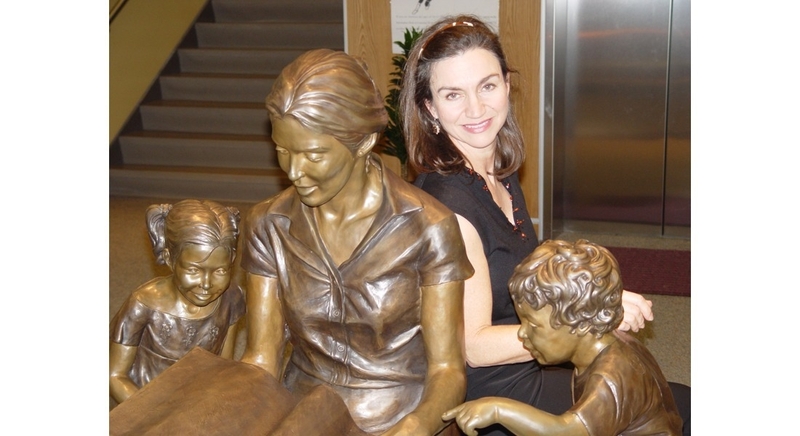 Sculptor Janie Stine LaCroix possesses the unique ability to create figures whose startling likenesses capture the depth and emotion of the individuals she portrays. 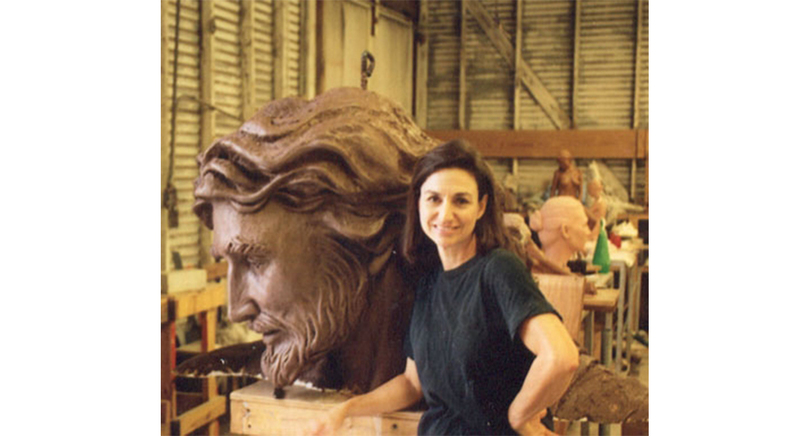 A master of portraiture in both human and animal form, her realistic sculptures range from modestly sized office pieces, to larger than life installments that are the focal points at numerous public venues. Though concentrated along the Gulf Coast, Janie’s artwork can be found throughout the United States, as well as in private collections internationally.